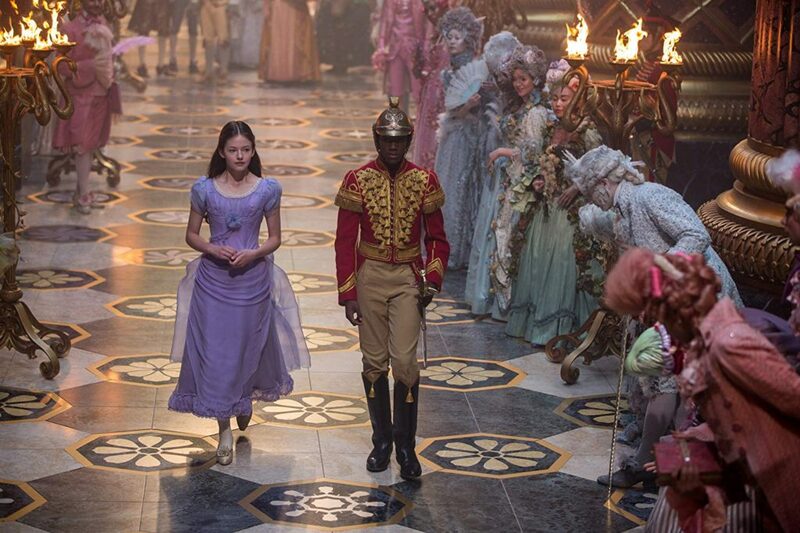 Nutcracker and the Four Realms looks good but doesn’t have much depth. I don’t really remember much of the classic ballet, but that might be a good thing in regard to the movie as I suspect it has only minimal relation to the plot of the ballet. 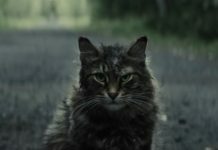 Rather the story seems to borrow more from Alice in Wonderland, Labyrinth, or Chronicles of Narnia, with a protagonist transported into a magical realm and embroiled in its conflicts. In this case the protagonist is Clara (Mackenzie Foy), a young girl struggling with the loss of her mother. Her grief has placed her at odds with her father (Matthew Macfadyen) and in no mood for holiday festivities, although it is a Christmas gift from her godfather (Morgan Freeman) that leads her into the magical Four Realms. She learns that her mother used to be a queen in the Four Realms (making her a princess) but that conflict has arisen amongst the realms in her mother’s absence. She meets the regents of 3 of the realms: the Land of Sweets, the Land of Snowflakes, and the Land of Flowers reminiscent of some of the dances in the ballet. The fourth realm (previously the Land of Amusements) is presided over by Mother Ginger (Helen Mirren) and is currently at odds with the other 3 realms. Sugar Plum (Keira Knightley) of the Land of Sweets takes center stage from among the regents and explains the situation to Clara. Sugar Plum as first introduced is indeed sickeningly sweet and so upbeat and giddy as to be downright annoying. 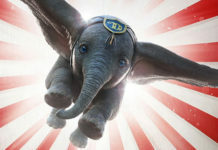 Later on some innuendo creeps into her speeches, which is a bit jarring in a film at least partially aimed at children. Clara resolves to retrieve the key that will unlock her mother’s last gift to her, even if it means confronting Mother Ginger in her sinister realm. She is aided on this quest by Captain Phillipe (Jayden Fowora-Knight), who is apparently the Nutcracker of the title even though he looks like everyone else. There are the expected obstacles, setbacks, and revelations before the final climactic confrontation. Clara is notable as a strong and intelligent heroine who is able to save herself and the realms on her own with only a little support from her allies. Her triumph gives her a renewed confidence in herself and her place in the world. It also helps her to see past her own grief to the pain her father feels and sparks a reconciliation. 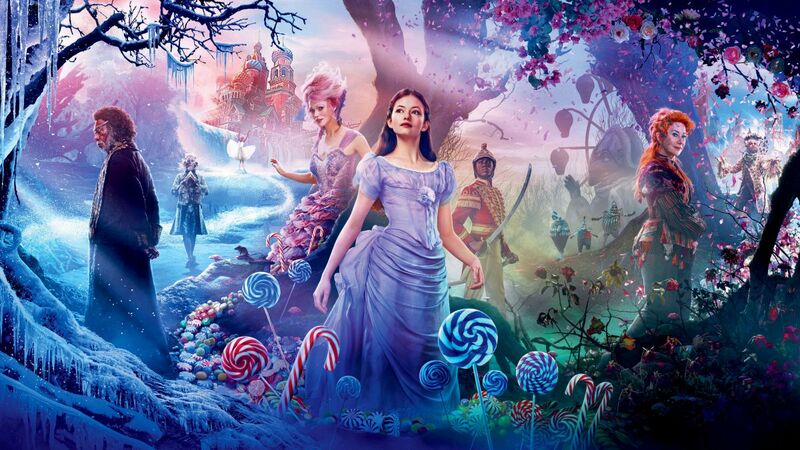 Nutcracker and the Four Realms has some impressive visuals, both in the real world and the magical Four Realms. Costuming and makeup also support the unique look of the locations. It is the narrative of the story that seems lacking. The plot is the usual “mundane who finds themselves transported to a magical world” with manufactured conflict used to drive some action sequences. Characterization is sparse. Sugar Plum is the only regent with substantial scenes, and sadly her character I found off-putting. Helen Mirren is sadly underused as Mother Ginger. Mackenzie Foy does well enough with the material she is given as Clara, which tends more toward action and stunts than real introspection. Jayden Fowora-Knight as the Nutcracker is relegated to Clara’s sidekick/lackey, although he does get a few chances to shine in some of the action scenes and his conversations with Clara. 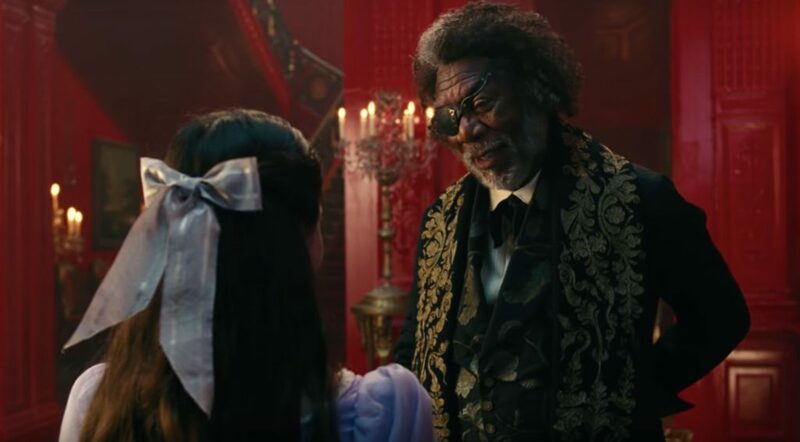 Back in the real world Morgan Freeman is likeable enough as Clara’s jovial but mysterious godfather. Matthew Macfadyen as Clara’s father does a good job of portraying both the man’s grief and his tension with his middle child in the few scenes that he appears in. As for Clara’s siblings, the fact that her godfather proclaims Clara as her mother’s greatest invention gives you an idea of their relative importance (or lack thereof). 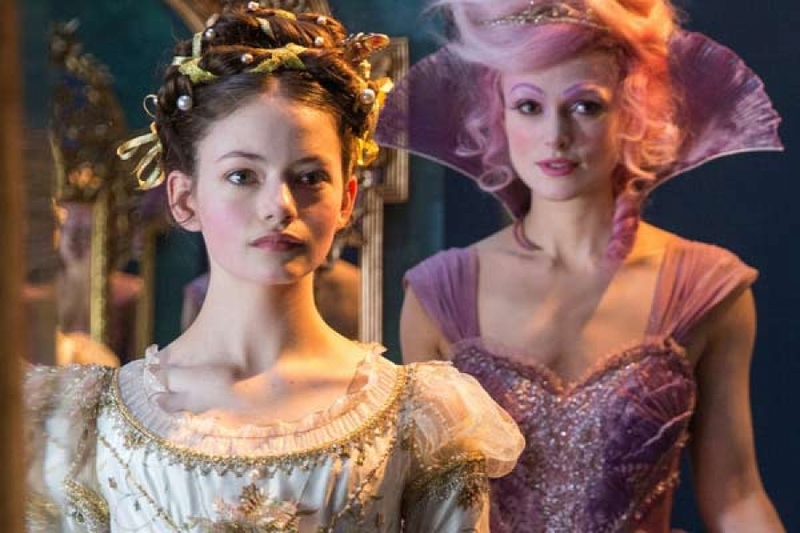 While visually intriguing and entertaining enough for a matinee showing, Nutcracker and the Four Realms offers nothing significant or memorable in the way of plot or character development. Overcooked 2: Beware the Unbread!